WOW! 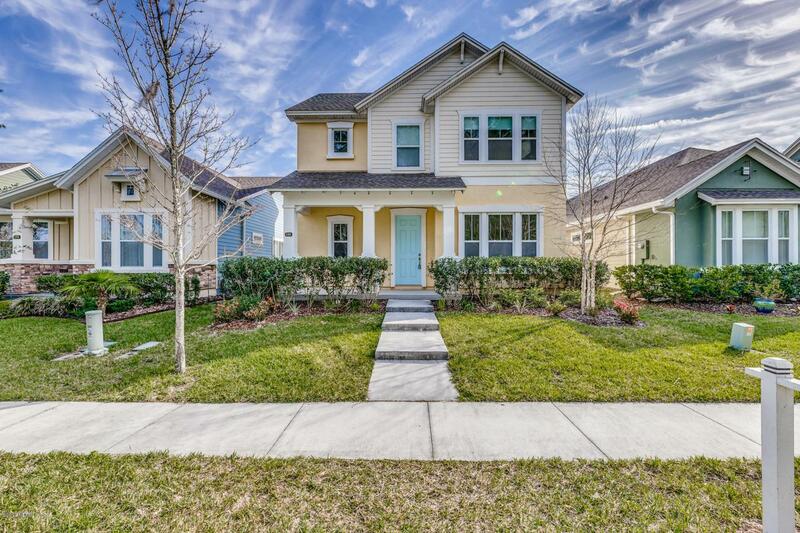 This gorgeous like-new David Weekley home has all the bells and whistles you've been searching for! Low maintenance, high energy efficiency home features spacious floorplan with 3 bedrooms PLUS office and upstairs living area. Light and bright kitchen boasts gas stove, granite countertops, elegant upgraded cabinetry, and tiled backsplash overlooking the open dining and living area. First floor master suite includes double-sink vanity with tons of storage, upgraded walk-in shower, and spacious walk-in closet. All located in one of the nations best selling communities! Nocatee is a golf cart friendly coastal community that features a spray park, splash park, pools, lazy river, zip-line, dog parks, kayak launch, fitness center, community events and so much more!